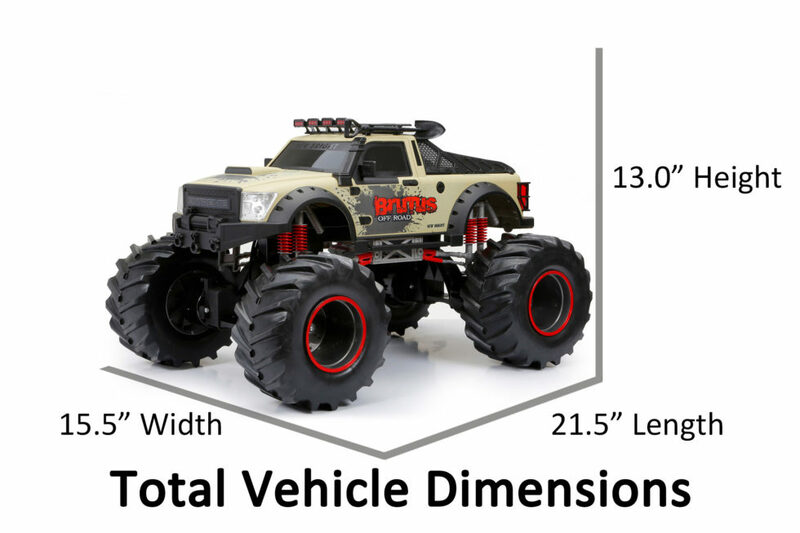 R/C 4X4 Brutus - Sand | New Bright Industrial Co.
Brutus is one heck of a beast. This 1:8 scale truck sits high on chevron tires, and tons of detailed trim. The 4X4 flex chassis and pivot steering let you take on anything, be it off-road exploring or 360º spins. 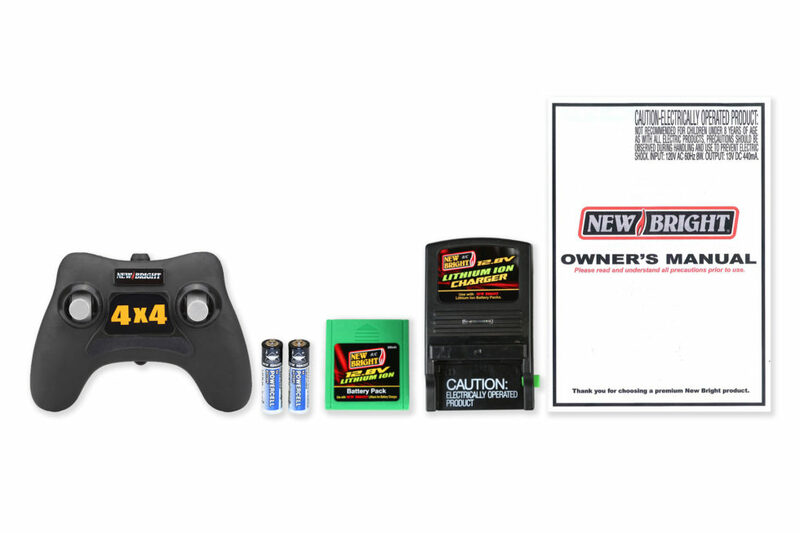 Powered by a 12.8V Lithium battery and features 2.4GHz technology. Now you can race up to 6 vehicles at the same time! All required batteries are included.